$10The suggested monthly recurring donation amount. Be sure to select "monthly" below. $30The monthly recurring donation amount to cover the full cost of one individual student. Be sure to select "monthly" below. $120A one-time donation equaling $10/month for one year. $360A one-time donation amount to cover the full cost of one individual student. 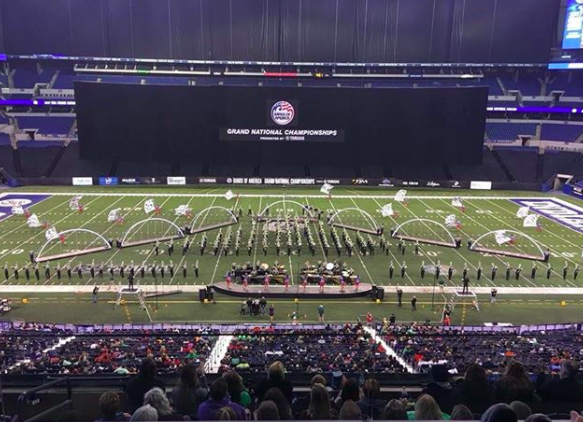 The Greendale High School Marching Band is a 220+ member all-inclusive competitive marching band program. Any student regardless of ability, experience, or financial means is able to participate in our program. Students gain an appreciation for the arts while learning the important qualities of dedication, teamwork, time management, and discipline - all while having a great deal of fun and creating lifelong friendships along the way. The focus of the program is never about trophies or awards - the focus is on the journey and the rewarding experiences which result from participation in our marching band program. With a band our size, everything we do is multiplied exponentially. For example, just traveling to one competition requires seven buses. To help increase revenue, we are completely revamping our fundraising efforts. Gone are the days of selling overpriced products that people don't really want, or selling raffle tickets with a slim-to-zero chance of winning. People have often said they would love to donate to the band, but don't have the financial means to give one check. But with small monthly recurring donations, the marching band gets the ongoing support necessary to fund a 220+ member organization, and the donors are able to spread out payments without even thinking about it. PLUS, every donation is recognized with an automated e-mail receipt, indicating that the FULL amount of the donation is 100% tax deductible! ARE YOU WILLING TO BE A GREENDALE MARCHING BAND DONOR FOR AS LITTLE AS 33 CENTS PER DAY?? Thank you so much for your consideration and support of our marching band program. We couldn't do it without you!! All donors will receive recognition in the Greendale Marching Band Invitational program and on www.greendaleband.com. We are a 501(c)(3) charitable organization, EIN 82-2972616. All the contributions are tax deductible. No goods or services will be provided in exchange for the contribution.